Back in Whistler for the last ski trip of the season and we faced the Saturday crowds – but its a bluebird powder day with great snow, a day that makes Whistler one of the best places to ski in the world. Its like mid-winter but with the long days of spring. By Monday the crowds had thinned considerably. 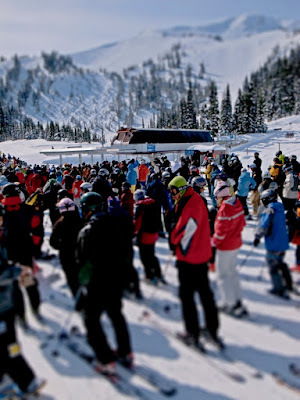 This entry was posted in Canada, ski trips, travel, Whistler. Bookmark the permalink.